LANSDALE, PA> Is it possible to smash together Elvira: Mistress of the Dark and Mystery Science Theater 3000? Yes, and it's astounding. 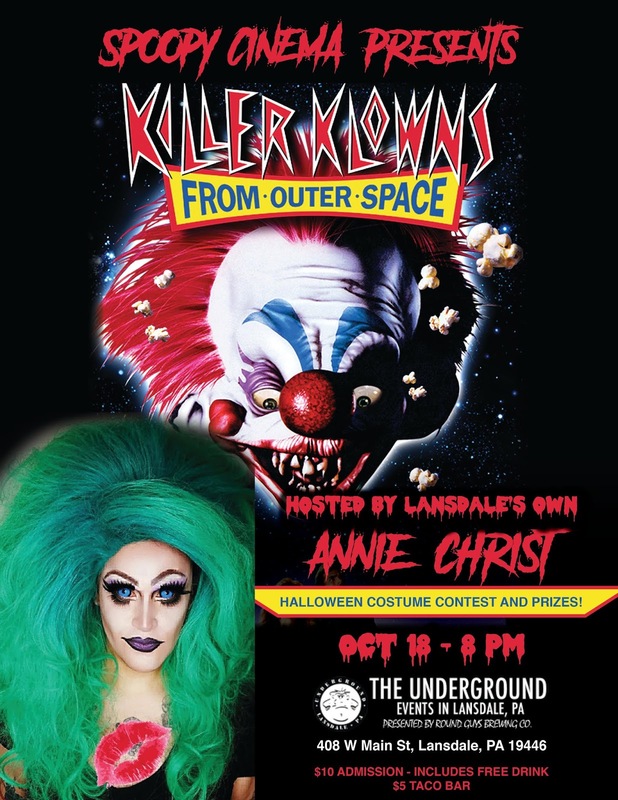 Lansdale's own Annie Christ and Spoopy Cinema are ready to take you to another dimension on October 18th at The Underground with their showing of "Killer Klowns From Outer Space". If you remember those mid-night showings of classic films, this is the night for you! If you've never experienced the late night film crowd (a la Rocky Horror Picture Show), check it out! 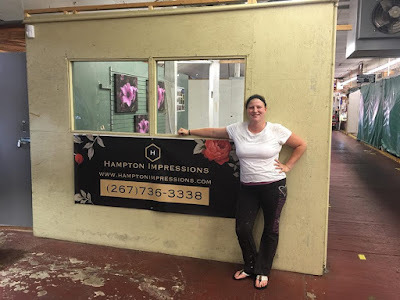 This experience is not to be missed! 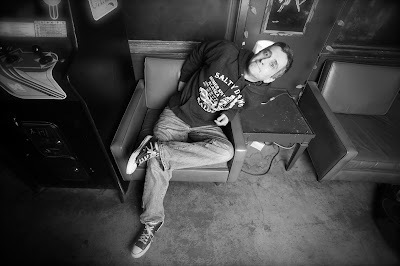 The admission price is $10 and you'll surely be drinking those moments in with a complimentary first beer! Annie Christ will ALSO be hosting a Halloween costume contest, come dressed in your best and win some prizes! So jump to the left, step to the right and time warp over to The Underground on October 18th!